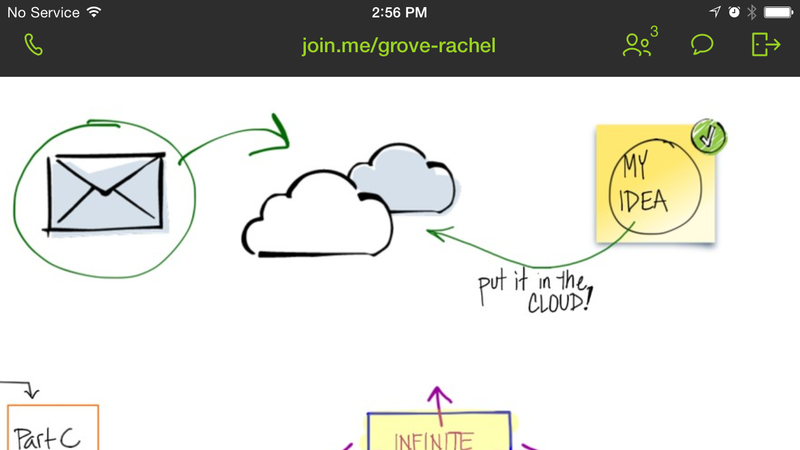 Join.Me’s Whiteboard for iPad: Graphic recorders, rejoice! Join.Me, a web conferencing tool, has released a new feature in the mobile version: Whiteboard for iPad. It’s worth a look. 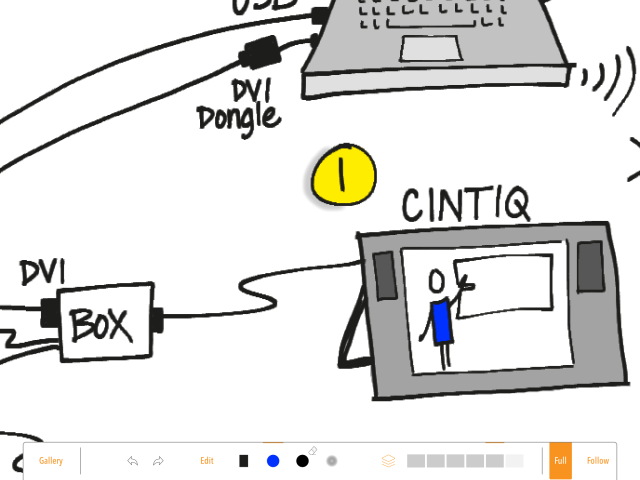 This is definitely a big step in the right direction for making digital graphic recording accessible for more people. With this tool, you can start, host, and graphically record a web meeting in seconds, all from your iPad. Join.Me is a web conferencing tool (think WebEx, GoToMeeting, Adobe Connect, Zoom, and so on — there are lots.). This one has a hip, friendly vibe and is incredibly easy to use whether you’re on a desktop, a laptop, an iPad or other tablet, or a mobile device. Incredibly easy. 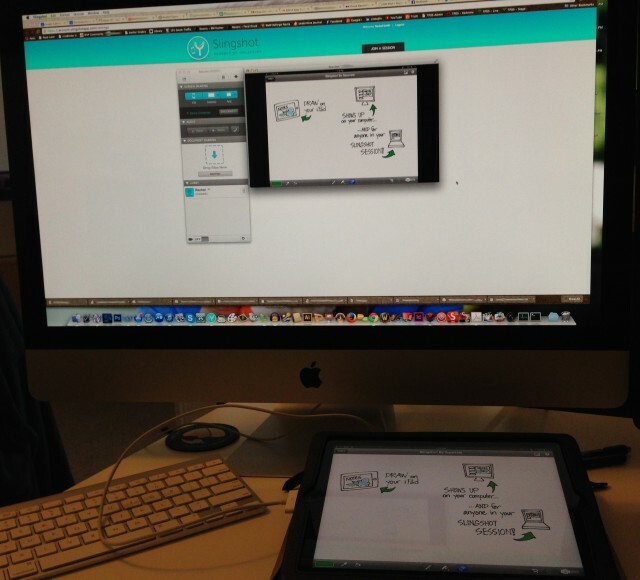 The thing that has catapulted Join.Me from ‘incredibly easy’ to ‘wow, just wow’ for me is its new whiteboard for iPad feature. I tested it today with some willing volunteers (thank you all, you know who you are) and I’m impressed. 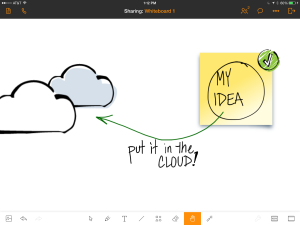 With the whiteboard, you can draw, write, create shapes, and import images from Join.Me’s easily-accessible library or from your own photos on the iPad. You can share it while you’re drawing it, so viewers can see your whiteboard. You can share other documents, too, once you get them into Join.Me. 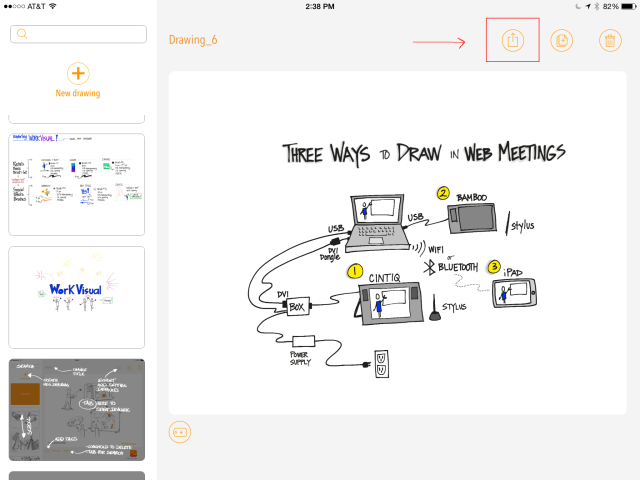 You can draw right on the iPad’s screen and everyone can see it whether they are joining the meeting from a desktop, a laptop, an iPad, or a mobile device. With one tap you can be in an audio conference along with the screen sharing, which means you can start, join, and participate in web meetings on your iPad and share your iPad’s screen. 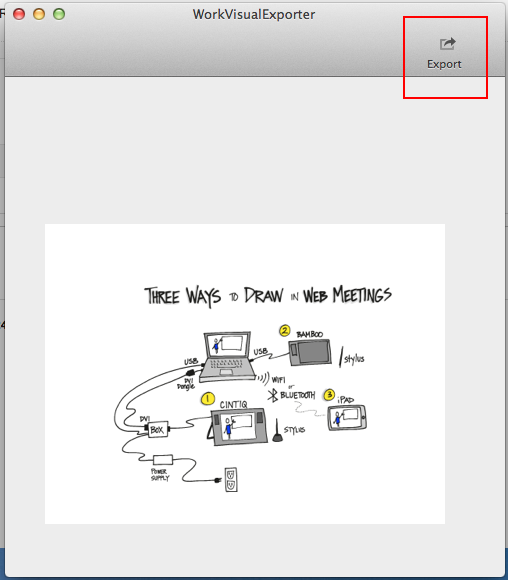 Yes, that means you can now graphically record web meetings on your iPad and have everyone see it. Easily. To share concept sketches or other documents with clients, annotating them in real time while we talk, even if I’m sitting in an airport or a hotel room or anywhere else. 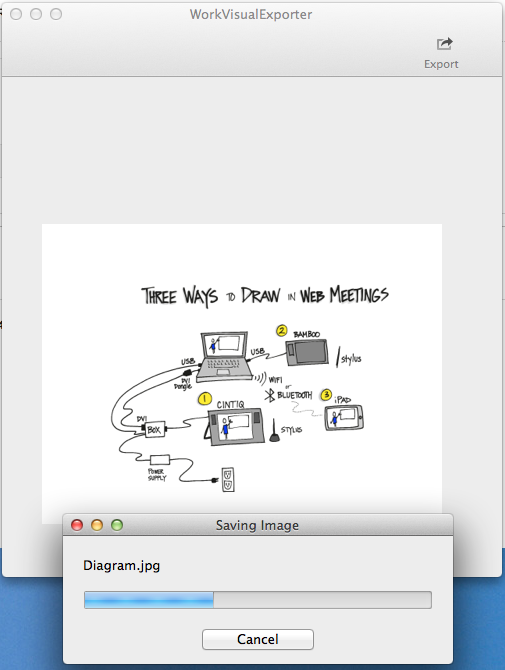 To graphically record web meetings and have everyone be able to see it, even if I don’t have my giant Cintiq handy. 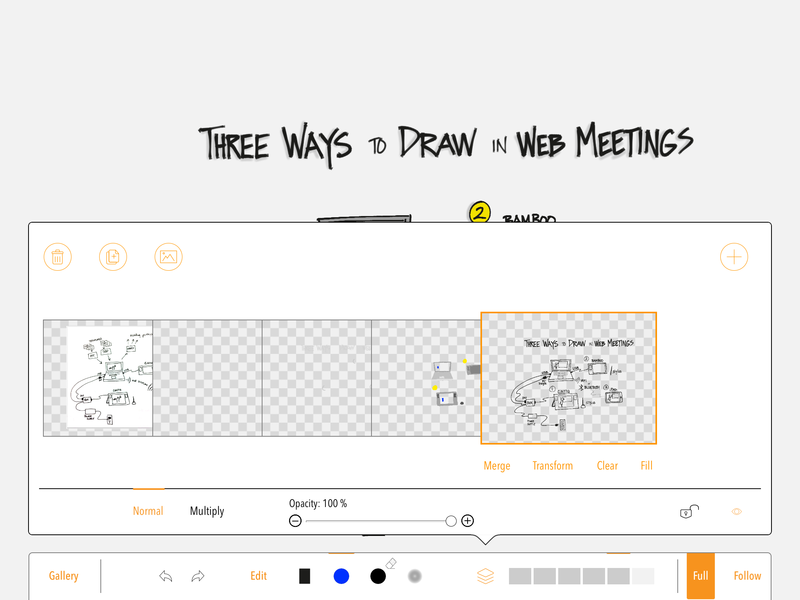 To quickly create rough sketches to capture ideas during a meeting. This is what it looks like on the computer when someone is sharing an iPad whiteboard. Infinite canvas: You can just keep sliding your work to the side and adding more. Viewers can pan and zoom independently of the presenter, too, so they can go back and check details anytime they need to. Zoom: Totally necessary for any drawing app, in my view. The zoom isn’t as smooth as I would like and it takes a couple tries to zoom out sometimes, but there’s a handy framing button that jumps you back and forth. Drawings are objects: Everything is treated like an object, which is nice because it can be resized, dragged, removed, recolored, and so on. You can pull a sticky note out of the Join.Me library, write on it, and then move and resize the whole note. Layers: I also really like layers in my drawing apps. This one has rudimentary layers, allowing you to move objects in front of or behind other objects. Library: The sketch library provided with the app is nice. I like that you can also bring in your own art — which means you can create your own library of stuff that you use over and over. It’s really easy to drop stuff into the whiteboard from the library, too. Audio: During testing, I tapped the little phone icon in the top left corner and joined the call from my iPad. The sound quality on my end was great, and my partner in crime told me she could hear me loud & clear too. The sticky note background, car, clouds, and book cover were pulled in from the image library and my photo roll. The rest was drawn in the whiteboard itself. It still isn’t a collaborative whiteboard; only one person can work on it at once. If you pass the presenter role to someone else, your whiteboard stays with you, and they have to start a new one or share another document, so in that sense it’s like any other web conference screen share. However, you can email the whiteboard to yourself in JPG, PDF, or (game-changer alert!) native Join.Me format, so someone else can load it into their copy of Join.Me and continue working on it. I’m a big fan of any iPad app that lets you move your content around. BIG fan. 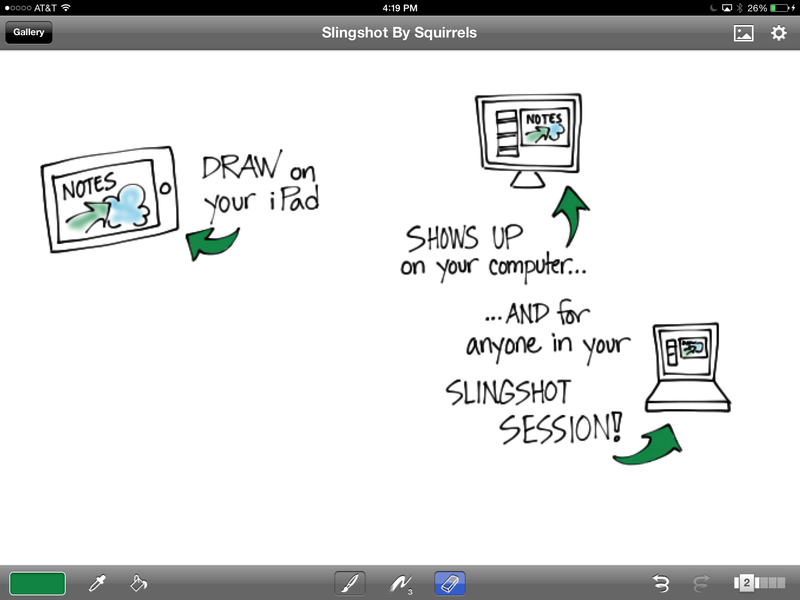 Like any other iPad graphic recording tool, it does slow you down. It just takes longer to navigate around the space, draw and write things. 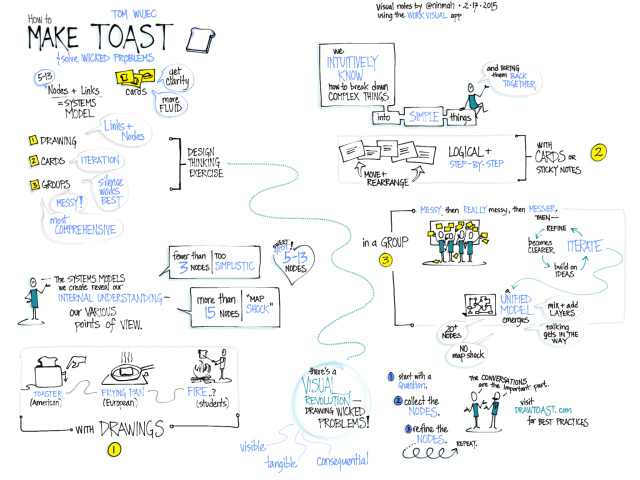 I wouldn’t try to do detailed graphic recording while facilitating a meeting using this tool. You can’t use the whiteboard from the desktop version of Join.Me, at least not that I can see. You can watch, but you can’t create and share a whiteboard. Since you can create and share your screen using any application you have on your computer, this isn’t a huge deal. What it looks like on my iPhone (sideways). The app is available on the app store. If you don’t need to run meetings, it’s free. If you want to host meetings, you’ll need to visit Join.Me on the web and get an account. There’s a basic, free one that lets you have up to 10 participants, and there are pro and enterprise levels too. Posted in everything. Tagged with graphicrecording, ipad, reviews, tools, virtualmeetings, webconferencing. 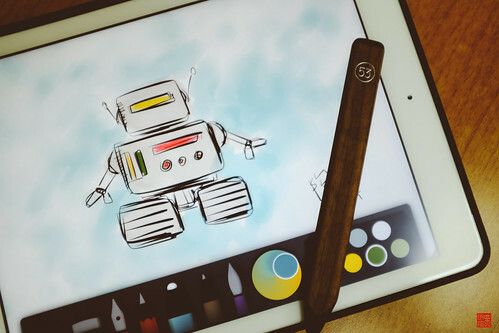 FiftyThree, makers of the Paper app and the nifty Pencil, have released Think Tools, a new set of tools inside Paper that change what you can do with the app. If you have Paper, just update to get ThinkTools. Thinking of waking me up? 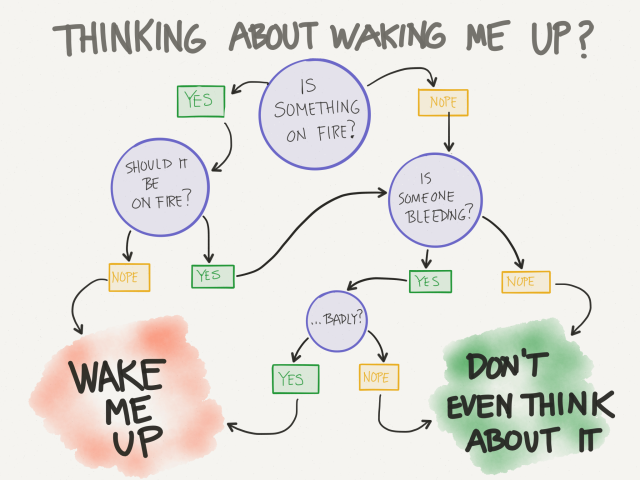 Check this handy flow chart first. The quick and easy way you can draw shapes, move them around, and connect them with arrows. The promo video (which mentions visual facilitation, by the way, woo hoo!) shows some very cool examples of prototypes and early designs, and I see this as the key strength of the toolset. You can create and rearrange a diagram while you are in conversation with someone. Very handy, and I can definitely see using it a lot. The variety of controls in the Think toolset: in addition to the smart pen that makes your shapes look nice and adds arrows automagically, there’s a scissors tool that lets you move things around, delete them, and copy/paste them (yay!). There’s a fill tool that lets you easily fill and clear fill from shapes as well as filling in the whole background. There’s also an eraser that I think is smart although it might just be that I was lucky when I used it, but it seemed to know about the edges of smart shapes at least a little bit. The color mixer. It’s a cool idea and if I were painting I’d love it, but for what I do it just gets in my way and occasionally ends up with the wrong color selected so that I have to … Undo, which is another frustrating tool. The two-finger rewind is nice if you need to undo a LOT of stuff at once, but if you want to quickly get rid of the stroke you accidentally made because the app suddenly decided the Pencil was in fact your finger and you wanted to smear everything instead of writing, it’s a pain in the neck. Placing and moving two fingers correctly takes up way too much time and brain space for undo. Writing. Oh, this is so painful. The zoom (loupe) has gotten a bit better, and now enlarges smartly when you get near the edges, but I consistently have problems with writing. If you write with the Pencil stylus, the app is supposed to understand that when you use Pencil you want to write and when you use your finger, you want to smudge. This would be super cool, again, if I were painting or drawing. But trying to create a flow chart or do notetaking, I find that sometimes the app stubbornly insists the Pencil is my finger and just smears in the middle of a letter (like when I’m writing the cross bar on the ‘T’ for instance). 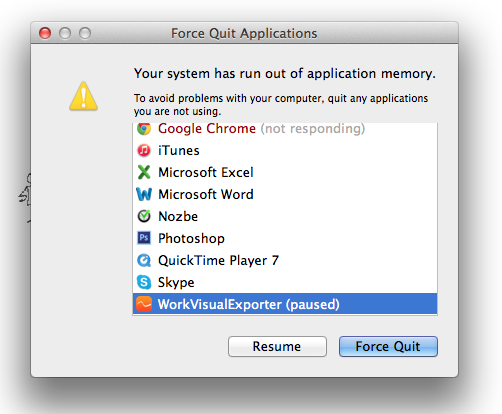 This slows me down so much that I lose the thread of what I’m trying to take notes on, which is a showstopper for me. So I switched Pencil off and just used my finger. So, a mixed review. I really love the new functionality of Think Tools. I still adore the little books that make up the interface, and the social-sharing capability is really cool. But I keep getting stuck on the difficulty of actually writing. If you have Paper, try it out yourself and let me know how you find it! Posted in everything. Tagged with ipad, reviews, tools. Qrayon does it again! You may remember Air Sketch (which is still super awesome, by the way), the app that lets you wirelessly broadcast your iPad drawing to other devices on the same network while you draw it. This week, I happened upon another tool by Qrayon: Inkflow. I am in love. 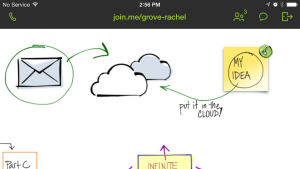 Inkflow is a wonderful tool to blend digital and paper sketchnoting. You can use the app itself to take notes and organize them into books. 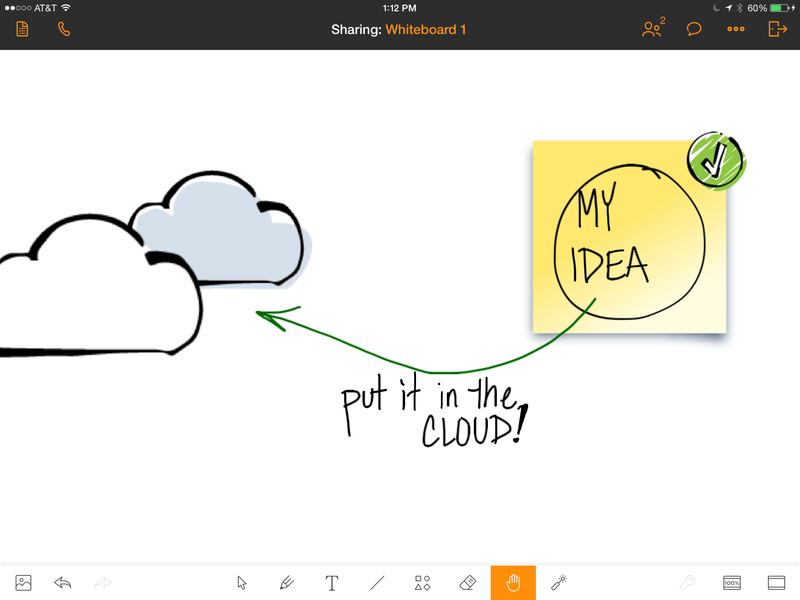 You can also add typed text, images, and photos of notes you have taken on paper — which then become objects on the Inkflow page that you can move and scale with no loss of quality. Look at me, I’m so excited I’m jumping all over the place! Let’s get organized here and look at how Inkflow is for sketchnoting, the vector/bitmap comparison, a few key features, a list of what’s missing from my point of view, and whether or not I’d recommend it as a visual notetaking tool. Writing and drawing in Inkflow is a beautiful thing. The flow is smooth, there’s no lag, and the canvas is large. Since I’ve only just begun to play with it, I’m using it as though it were Brushes, which is causing me some angst. But I can see that with a little practice I’ll get used to the way it works and do much nicer work. To test it out, I did a little visual notetaking while listening to the TED talk How Great Leaders Inspire Action by Simon Sinek. 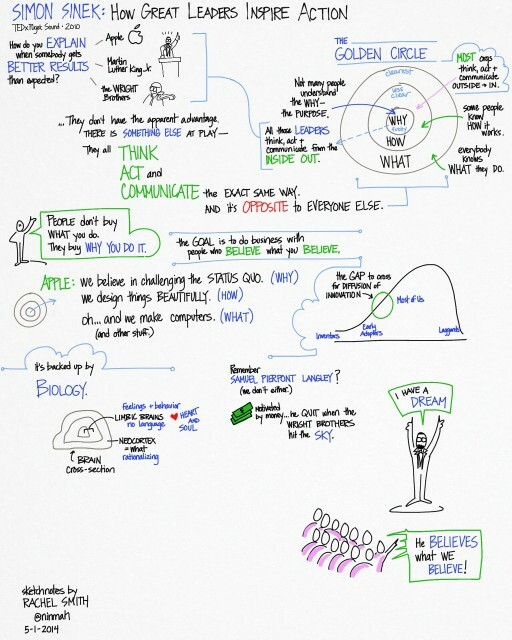 My visual notes of “How Great Leaders Inspire Action” by Simon Sinek. Don’t let the non-white background alarm you; you can choose different styles. I just used the default for this one. You can actually change it after the fact, which rocks, and there’s a plain blank white one. It has a palm blocker too, so if you prefer a stylus you can pull up the palm guard to cover the bottom part of the screen. One thing to note: A lot of the features I’m describing are only available in the paid version, which at the time of this writing costs $7.99. Definitely worth it. 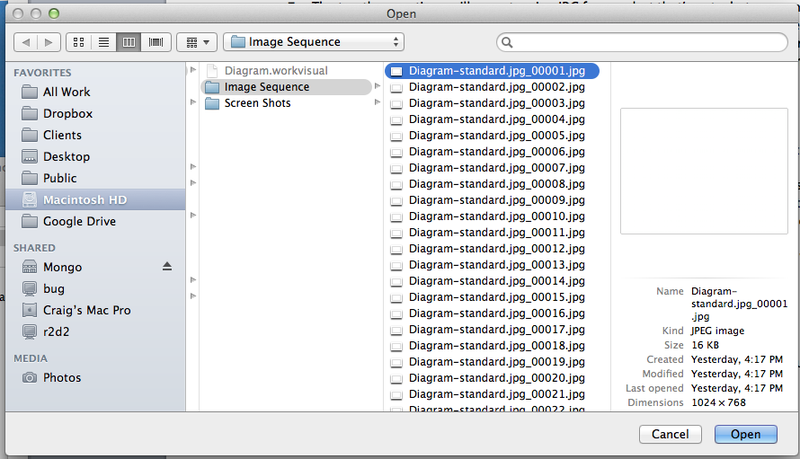 Inkflow is a vector drawing tool, which means that what you draw is stored as resizable objects. However, it behaves a little like a bitmap drawing tool (like Sketchbook Pro), which means that it feels like you’re painting with a brush. The lines are smoother and more even than I’m used to, and I can’t quite get the same variable quality of line that I love in Brushes (which is also a vector tool with a brushlike feel). The trail-off at the end of a stroke is different, too, which makes my lettering look a bit sloppy to my (self-critical) eye. However, one of the coolest features of the vector-based Inkflow is that you can select, move, and resize parts of your drawing (or the whole thing). You can enlarge small things and they won’t get fuzzy, or shrink big things and they won’t get muddy. Oh, and if you need to rearrange your notes as you go, you can! File the selection tool under A for Awesome. If you don’t feel like writing, you can type instead, and then draw or write alongside the typed text. 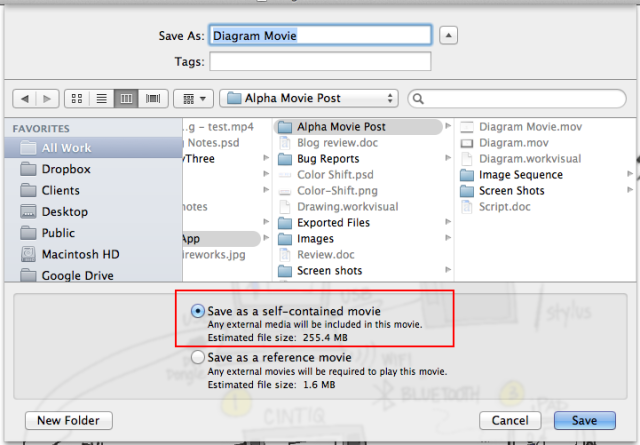 You can also drop in photos or illustrations alongside your work, or annotate them. The stationery feature lets you pull in images to use as custom backgrounds (did someone say templates?). I love this part. I have a bunch of notes I took on copy paper (you know, analog) for different meetings for whatever reason. I’ve been carrying them around in a folder and trying to decide what to do with them — I’m in an awkward place between using a paper notebook or my iPad at work, so I have notes in both places. Yuck. With Inkflow (the paid version), you can take a photo of your paper notes and they get pulled into your Inkflow notebook. They become a vector image, so you can resize them up or down, move them around, select part of them, erase the little smudges around the edges… it’s totally cool. Now I have a work notebook that includes my loose notes, plus I can add as many pages as I need to for notes during meetings. Whoa. A lack of layers. This is the biggie, because I want to be able to draw outlines and color them in later, with the color underneath the outline. I also want to be able to experiment with stuff and get rid of it easily if it doesn’t work out. Update: Qrayon says they are working on a ‘draw-under highlighter’ that might help with this. Yay! No quick way to zoom out to 100%. This was pretty frustrating while I was recording the sample. I do a lot of quick zoom outs to check size and placement of elements, and it’s annoying to have to do the pinch thing several times to make sure I’m looking at the right view. Limited sizes and shapes of the brushes. Three brush shapes plus an eraser is actually okay; I can live without the airbrush. But the settings for tip size aren’t fine-grained enough for me. For instance, on the paintbrush, you can pick 24, 32, 48, 64… you get the idea. Nothing in between. I also miss being able to easily draw a dotted line. I use that a lot. A limited active color palette. This is annoying, but it isn’t a show stopper. You have access to lots of colors, you just can only pick eight of them to use without mixing at any one time. Update: Qrayon responded to let me know that you can swipe the palette sideways for more colors, which I hadn’t realized. Definitely helps with setting up colorsets. Zoom only goes to 12%. This bothered me a lot at first and then less as I learned to work with the app. I wanted to zoom in further, but I found that if I just worked at a slightly larger scale it was actually okay. I still would like a little more zoom action for that extra precision I like in my lettering. I love that the screen stays at full resolution even when I’m zooming. 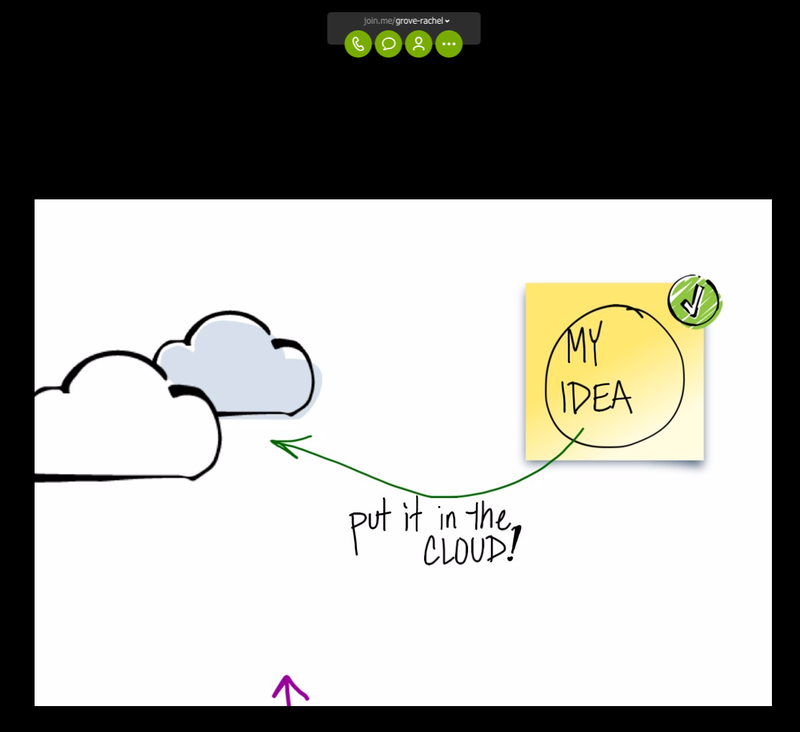 Overall, I love Inkflow and I’m looking forward to using it to take notes in my next meeting. It effectively combines several of my favorite features from other sketchnoting apps, it’s easy to use, and I love that it’s vector-based so I can move stuff around. Easily 4 out of 5 stars, and adding layers would kick it up to a 5. If you’re looking for a notetaking tool that’s simple but versatile, I can recommend it. Updated 5-3-2014 with some news about color palettes and an upcoming draw-under tool. Posted in everything. Tagged with graphicrecording, ipad, sketchnotes, tools, visualpractice. 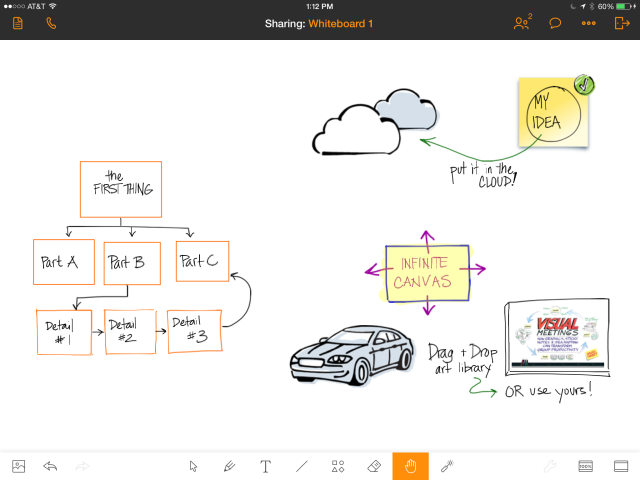 Do you take notes with the Paper app on your iPad? I haven’t used it very much, but after seeing these two tools, I think I will give it another go. Plus, it looks like zoom is available in Paper now, which is what I was missing before. The first is Pencil, a Bluetooth stylus for the iPad that has an eraser and palm blocking (so you can rest your hand on the iPad surface while you draw with the stylus). It looks like — what else? — a pencil. The palm blocking and eraser features only work with Paper, but the stylus works with everything on your iPad. It comes in graphite or a beautiful wooden finish. I’m especially intrigued by the hint that they have handled the friction problem. I’m hoping this means that Pencil doesn’t feel too slippery or drag too much as some other styli do. The other isn’t really a tool… it’s something you can do with your notes after they’re done. It’s called Book, and that’s just what it is. Moleskine and FiftyThree have teamed up to offer a printed and bound book with your notes from Paper in the lovely Moleskine format. 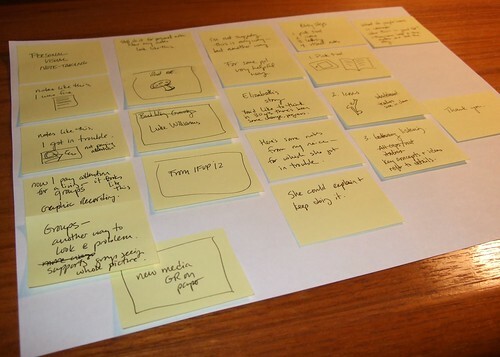 I find myself wanting to create a set of new visual notes just to be able to get them as a Book. If you’re familiar with Paper, you know that notes are organized in virtual notebooks inside the app already. Book brings them to life. Imagine your notes from a conference or a course printed and bound afterward! Speaking of which, do you run a conference? Consider hiring a visual notetaker to record the sessions in Paper, then send out copies of the printed version as a high-end conference giveaway. Ooooh. I even know a visual notetaker who would be interested. Posted in everything. Tagged with graphicrecording, ipad, tools.